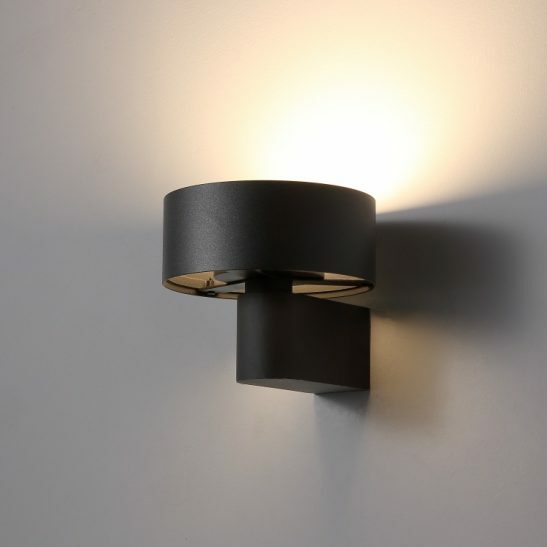 The LWA297 6 watt black LED wall light is a metal wall light made from brushed aluminium and finished in high quality black paint. 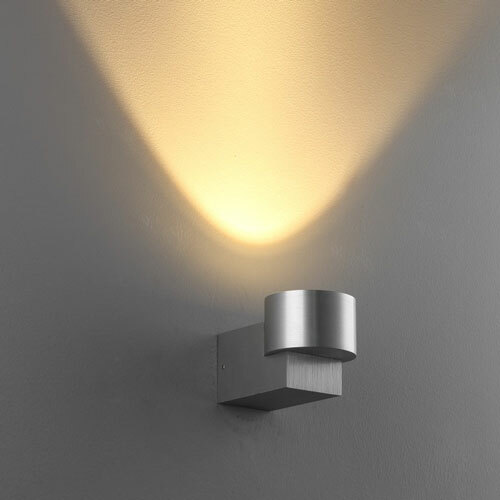 (You can also purchase this light in white and brushed aluminium) This light features high quality 6 Watt LED with an output of 600 lumens of light. 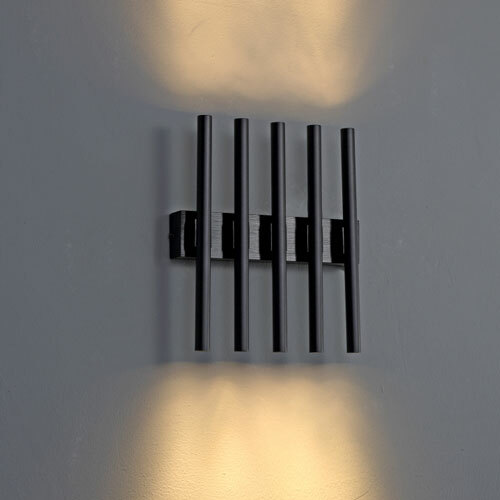 These LWA297 metal wall lights stand 127mm tall and measures 148mm wide. 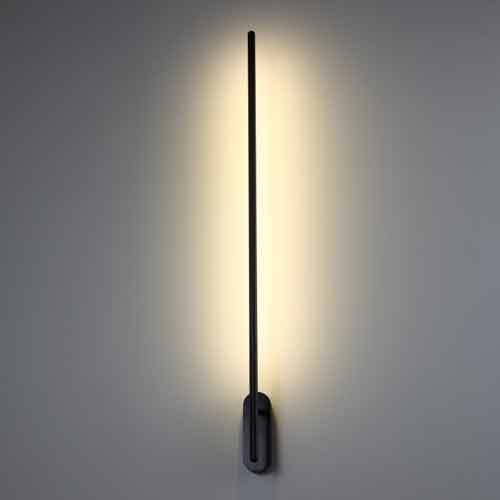 The LED driver sit neatly inside of the body case of the light. 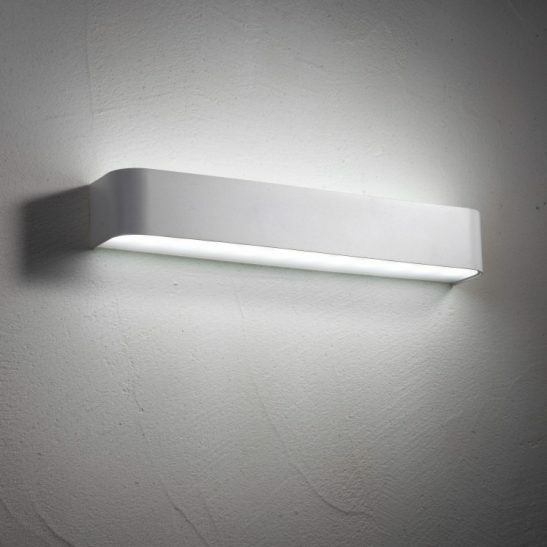 This light is designed to be used indoors only and has an IP rating of 200. 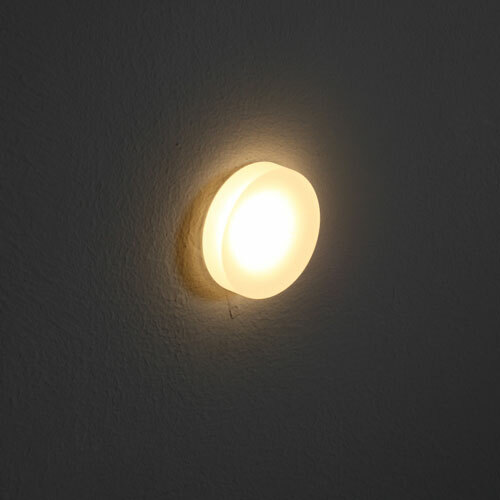 The LWA297 is hardwired directly into your 240 supply main, which means that installation of this light in your home, business, or hotel should only be done by a qualified electrician. 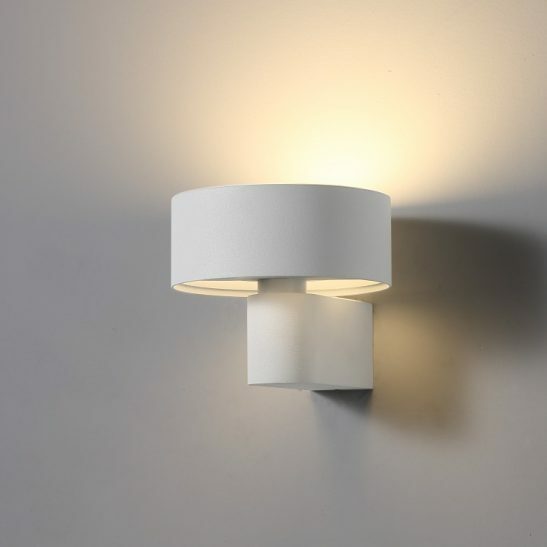 Designed to provide you with a minimum of 20,000 hours of maintenance free light, These wall lights are very energy efficient since very little of the energy these lights draw are wasted. 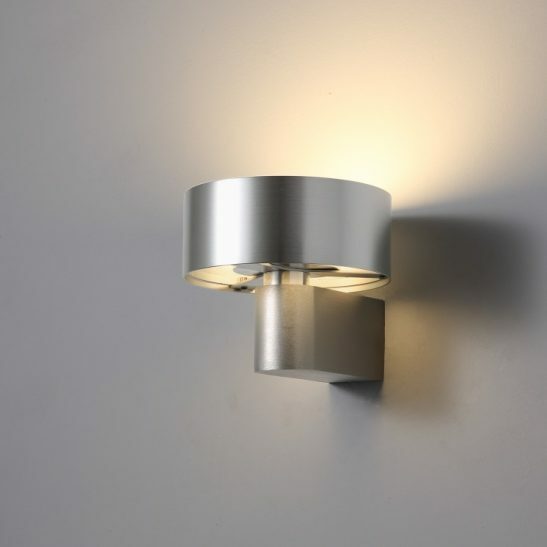 This is good news for you since it will cost you much less to operate this metal wall light then it will to operate more traditional wall lights of the same wattage. 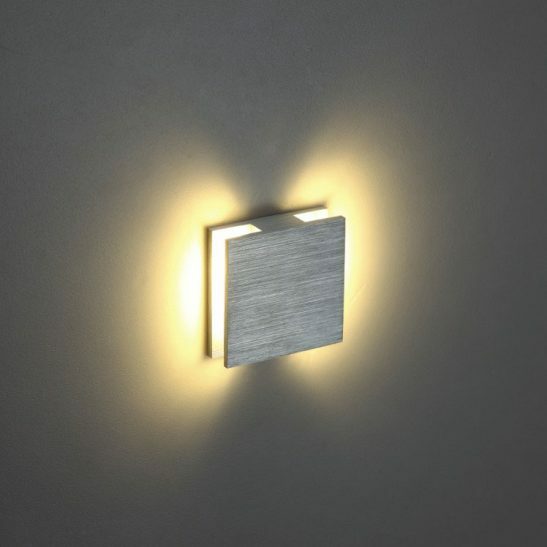 For those who are working hard to do your part to protect the environment, you’ll be glad to know that this light is environmentally friendly, not only because you there are no light bulbs to burn out and create waste, but also because this wall light is 100% recyclable. 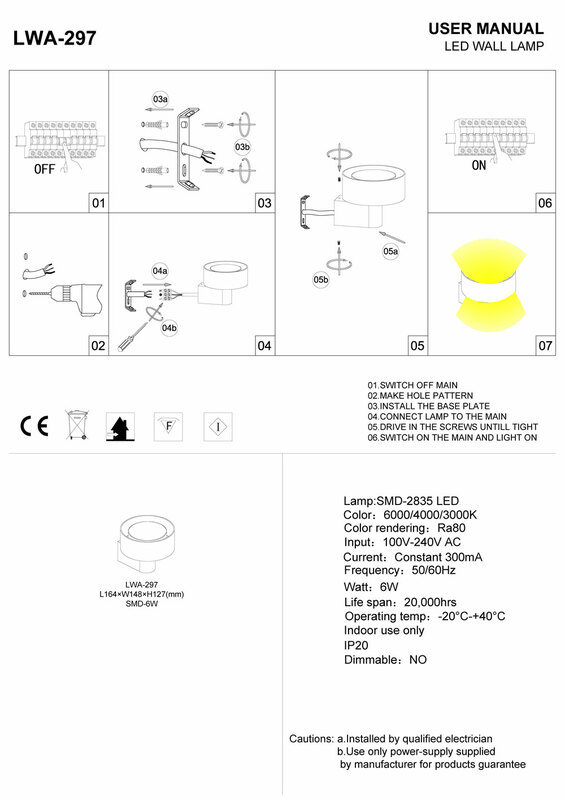 The LWA297 also comes with a three year guarantee.